Wixstars Casino has been offering a brilliant online casino product since their launch in December 2016. This brand quickly became a popular home for players that enjoy having access to a massive game platform and cutting edge bonus promotions. Wixstars Casino is using the Aspire Global platform which allows players to play the best games from a long list of top-quality game producers including but not limited to Play’n GO, Netent, Microgaming, NYX Gaming, Aristocrat, Neogames, Amaya, Evolution Gaming, ELK Studios, Thunderkick and Quickspin. Wixstars Casino has an average player pay-out percentage of the staggering 97.67% which put them among the highest in the industry. Wixstars Casino is supported on all devices for iOS & Android. The website has a cool old-school type of design and it’s available in English, Finnish, German, Norwegian and Swedish. The navigation of the website is easy to grasp and there is no problems in locating anything. Simple, clear and straight forward. The player support at Wixstars Casino is available 24 hours a day, seven days a week. They offer support by e-mail, live chat, phone and fax. They also have a great FAQ page where it’s easy to find information on how to resolve the most common issues that can occur. The customer support team at Wixstars Casino is a highly skilled team of online gambling experts that are ready to assist in all five languages that the website supports. Wixstars Casino is owned by Brightnet and operated by Aspire Global International Ltd and AG Communications Limited. They are licensed by the UK Gambling Commission and the Malta Gaming Authority. Wixstars Casino meets the highest standards of player fairness and safety. Get 15 No Deposit Free Spins in Butterfly Staxx on Sign Up (Bonus code: BUTTERFLY15)! If you’re a resident of the United Kingdom, Canada, Austria, Finland, Germany, Norway, Ireland, Netherlands, New Zealand or Switzerland and are not already a member of Wixstars Casino, you will be able to claim 15 no deposit free spins in the very popular NetEnt video slot Butterfly Staxx when you register your player account. You need to enter the bonus code: BUTTERFLY15. This is a great opportunity to try out this casino for free – no deposit required. CLICK HERE AND CLAIM YOUR 15 NO DEPOSIT FREE SPINS AT WIXSTARS CASINO RIGHT NOW! Wixstars Casino’s EXCLUSIVE First Deposit Bonus of 150% up to £/€300 + 50 Free Spins (Bonus code: JOKERPRO300)! We’re very happy to be able to offer an exclusive first deposit bonus at Wixstars Casino. Players residing in United Kingdom, Canada, Austria, Finland, Germany, Norway, Ireland, Netherlands, New Zealand, Sweden and Switzerland will get a 150% bonus match on their first deposit up to £/€300 + 50 free spins in the Joker Pro video slot. 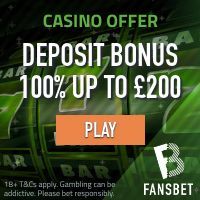 The minimum deposit to qualify for this bonus is £/€20 and you need to enter the bonus code: JOKERPRO300. This first deposit bonus is subject to a x25 wagering requirement (both deposit amount and bonus amount) before cash outs can be made. CLICK HERE AND CLAIM 150% UP TO £/€300 + 50 FREE SPINS ON YOUR FIRST DEPOSIT! Funding your player account at Wixstars Casino is easy. They accept all major payment methods including Ukash, Skrill, Skrill 1-Tap, VISA, MasterCard, entropay, Payr, Wire Transfer, paysafecard, iDeal, Direct Banking, giropay, Neteller, eps, clickandbuy, POLi, instadebit, UseMyFunds, Ticket Premium, Fast Bank Transfer, ECO, fundsend, Bancontact Mister Cash, Euteller, Trustly, Zimpler, SIRU. When you withdraw your winnings, you can use the following methods: Skrill, Skrill 1-Tap, VISA, MasterCard, entropay, Wire Transfer, Neteller, clickandbuy, instadebit, ECO. All transactions and other digital information is protected and secured by the most sophisticated encryption technology available. Wixstars Casino offer a very impressive collection of online video slots which are provided by some of the most notable game providers on the planet including NetEnt, Play’n GO, Microgaming, ELK Studios, Quickspin, Thunderkick, Aristocrat and NYX Gaming. These vendors are the names behind some of the most popular video slots in the online casino industry. Some of the most popular video slots at Wixstars Casino are Forbidden Throne, Viking Runecraft, Aloha! Cluster Pays, Emoticoins, Poltava: Flames of War, Hansel and Gretel and Book of Dead.